We understand that your home is an important part of your life and your financial portfolio. It is the largest purchase that most Americans will ever make. It is with this knowledge that we have committed ourselves to being the industry experts on foundations for manufactured homes. We can provide engineered solutions for your foundation problems as well as engineering documents for your loan process. We can identify potential problems and provide cost effective solutions to most foundation problems. You can submit orders directly on our website via the Quick Bid button on the right. Contact us with any questions at 928-759-2000. We look forward to meeting your needs. Who must have an engineering certificate for their manufactured home foundation? All foundation systems, new and existing, must meet the guidelines published in the Permanent Foundations Guide for Manufactured Housing, dated September 1996. A certification attesting to compliance with this handbook must be obtained from a licensed professional engineer and include din the insuring file. It is applicable for all re-sales. HUD-FHA Single Family Housing Homeownership Center Reference Guide, Revised October 31, 2005, Chapter 1: Appraisal and Property Requirements Page 1-09d. How do I meet the requirements for a permanent foundation? The foundation must meet the criteria as set forth in the HUD manual, Permanent Foundations Guide for Manufactured Housing, September 1996. This manual requires a specific design for every manufactured home. Dead loads, snow loads, wind loads and seismic loads must all be taken into account. There must be a perimeter, frost line protected strip foundation as well as frost line protected piers under the chassis. The stacked blocks that the unit actually sits on must not only be mortared, they must be attached with rebar to the footing and bolted and/or welded to the chassis frame, unless there is an alternate, site-specific engineered design (which Hayman Engineering, Inc. can provide and can save you hundreds to thousands of dollars). The design must include protection against horizontal shearing forces and uplifting forces. This can require additional strapping between the stacked blocks. Finally, it means that this design must be stamped by a licensed professional engineer verifying that HUD requirements have been met. What can happen if a manufactured home does not have an HUD-compliant foundation? It is very likely that no US government guaranteed loan will be approved for the home. It also may not qualify for other conventional loans. Even though the home may currently qualify with a lesser foundation, in the future it may be required to upgrade to HUD compliance to receive any loan. What difference does it make what kind of foundation I have under my manufactured home? Different loans have different requirements for the foundation supporting the home. A minimal foundation can prevent your home from qualifying for a loan. I'm knowledgeable about foundations and know this house does not require what I'm told it needs. Why do I need to put it in? Most manufactured homes in the past were placed on grade and sat on dry stacked cinder blocks and often no particular problems were noted. These more recent requirements for manufactured home foundations are based on national experience from manufactured housing performance in hurricanes, tornadoes and earthquakes. When the government mandates these standards be met nationwide (there are local variations in requirements), they must be met. It is not a matter of what is needed here to support a manufactured home, it is a matter of what is required to qualify for a loan. My manufactured home qualified for a loan before. Isn't it 'grandfathered' in for future loans? Unfortunately, no. Your current foundation may be adequate for your current loan, but new requirements must be met in order for a new loan to be issued. If it qualified for a loan previously, it may not now without the foundation being upgraded, which can be extremely expensive. Home Tech Foundation Systems, Inc. can provide a lower cost solution for upgrading deficient foundations to meet current government standards. What is an HUD-compliant foundation? That is a foundation that meets the requirements of HUD manual Permanent Foundations Guide for Manufactured Housing published September 1996. It also has an Engineering Certificate stamped by a licensed engineer certifying that it meets those requirements. Will an HUD-compliant foundation meet the requirements for all existing loans? Why is an engineer required? These foundations are complicated and require an engineered design for each site and house. The stamped Engineer Certification is for your protection to ensure that these standards are met. Can anyone install an HUD-compliant foundation? As long as they meet state and local regulatory requirements, any contractor who can read a blue print should be able to install an HUD compliant foundation. Involving the engineer from the beginning will minimize the problems your contractor may incur in meeting HUD requirements. 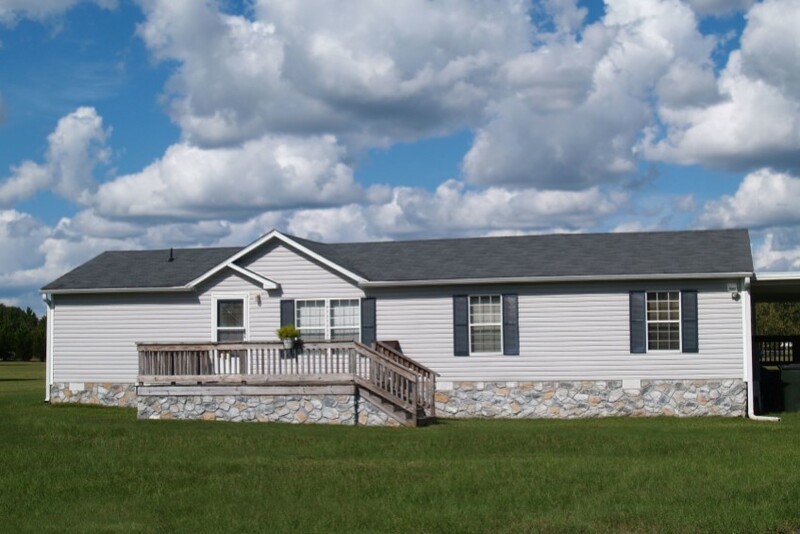 Hayman Engineering Inc. works with individuals, dealers, contractors and bankers to help each manufactured home meet the requirements it needs to meet. Is Your Home FHA Compliant?